New for 2018! 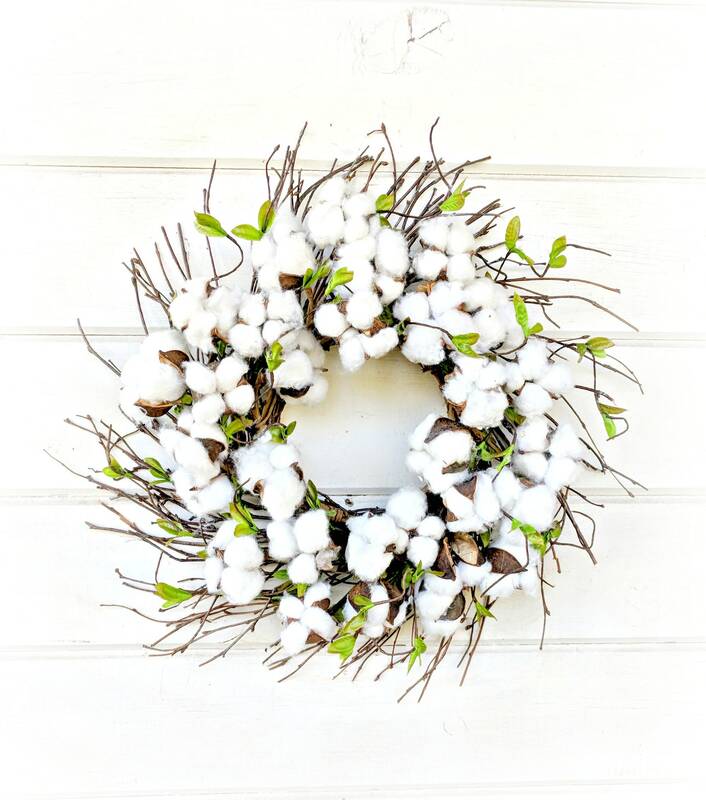 A Cotton Twig Farmhouse Wreath!! 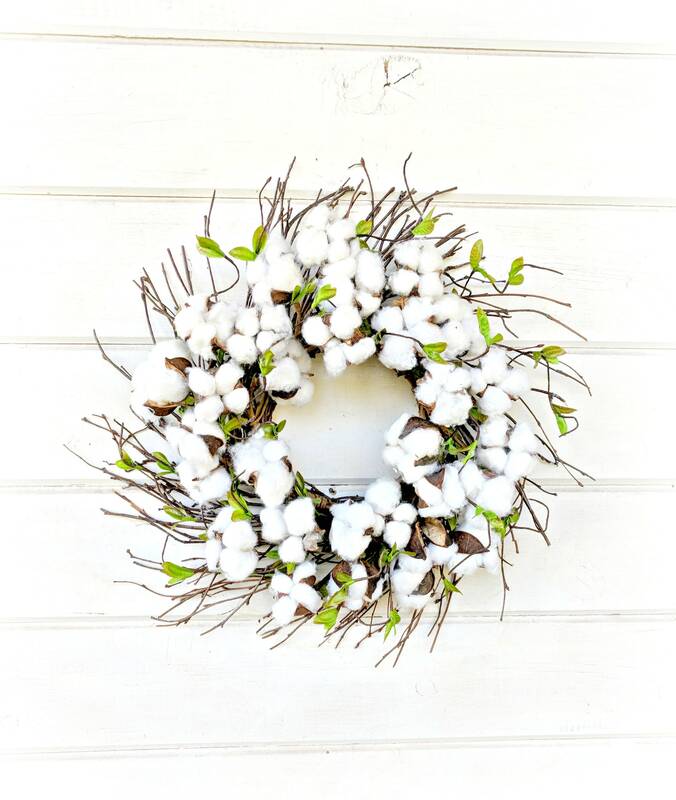 This wreath is made on a MINI Twig Base and packed full of Cotton and Greenery. 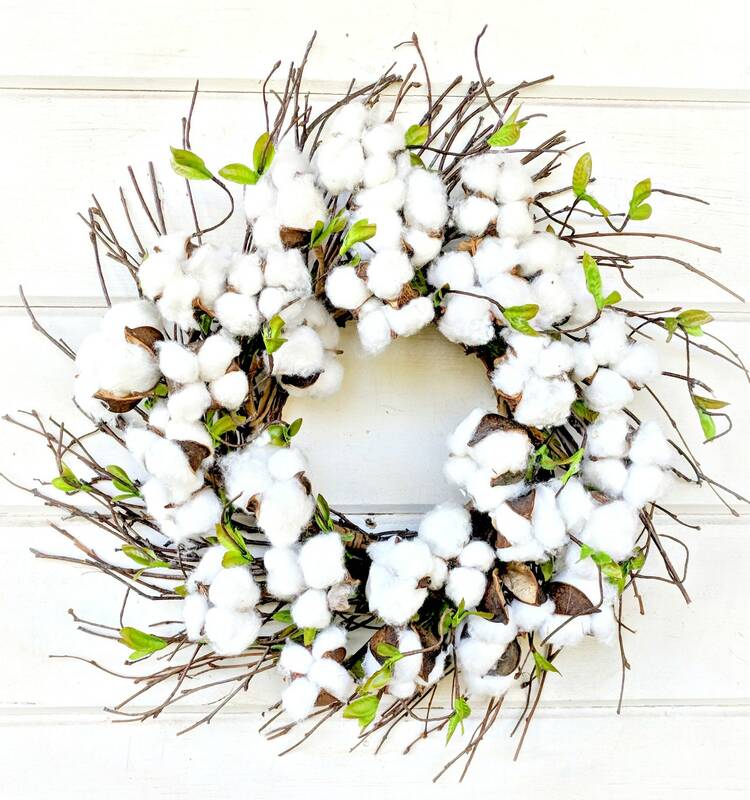 I've ordered two wreaths from this shop and they both are beautiful! Such good quality and so many unique styles to choose from.